Showing results for tags 'ottertail'. G'day guys, I've started up this post as I will be visiting Minnesota (to be specific the Stuart Lake in the Ottertail Lake area) and I would love to hook into some fish! I'm originally from the Netherlands, have lived in Australia for the last 8 years working as a fishing guide, I have moved to Dallas TX with my wife and now we will be visiting my in-laws in Minnesota. 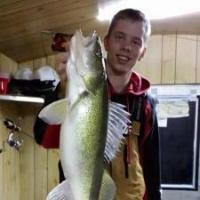 I would love to catch Musky, which I know West Battle Lake holds, and of course Walleye. I have been trying to look for areas that hold smallmouth but was unable to find any. I don't have a boat up there or anything so I know I will be in a massive disadvantage for musky but I will give it a try with waders. I would love to get as many tips as possible! Cheers! I've picked up 17 dead sucker fish ranging from approximately 12-16 inches in the last 2 weeks. Do people know they are a natural part of the Minnesota ecosystem? Are people mistaking them for carp? Furthermore Muskie guys pay $10 a piece for those things in the fall around DL.